In honor of Father’s Day this morning, I will be speaking about being a Man of Integrity. Today let’s honor fathers for all that they do well and for trying, and let’s show grace and forgiveness for the times they failed. 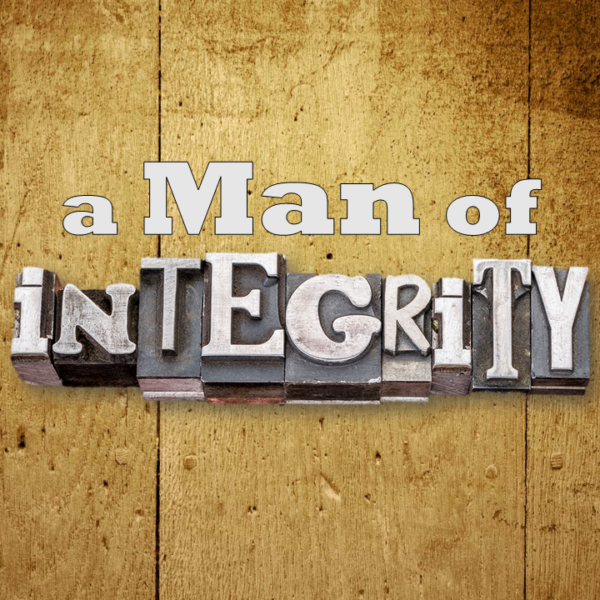 In honor of Father’s Day this morning, I will be speaking about being a Man of Integrity. Recently I recently read that on Mother’s Day, we honor moms and other significant women in our lives and talk about how much they love us and mean to us. But on Father’s Day, particularly in church, we tend to beat up a little on dads and tell them all of the things they need to be doing better. Well, that is not my intention today. As a father of four, I know I made plenty of mistakes, and there is always more I could be doing. We often remember some of the harshness of our dads and maybe all of the work they made us do. But all that discipline and instruction was mostly meant for our good. We should be thankful as Hebrews 12 tells us. Today let’s honor fathers for all that they do well and for trying, and let’s show grace and forgiveness for the times they failed. the state of being whole and undivided. (Integer is whole number). You may be able to tell me your top goals in life. If you are very intentional, you may have even written out your priorities. But my actual priorities in life will be clearest to my wife and family. To your staff, your investors, everyone. If you break a promise, you must apologize, but don’t let this become a pattern. Doing so affects you professionally and personally (practicing your faith, being present for family, (not distracted with TV or your phone), staying healthy, etc.). Get comfortable with saying no. No one can say yes to everything and follow through on it all.